Often referred to as Our ‘Toner’ for babies, our Calming & Hydrating Mist is known for its soothing, anti-inflammatory and calming properties. It effectively soothes, cleanses and freshens delicate skin and is ideal for use at every nappy (diaper) change, and is gentle enough for use on even the most delicate of allergy prone skin. Great for clean-ups on the go or for cleansing grubby faces and fingers. An important part of our 3 Step-Prescription. 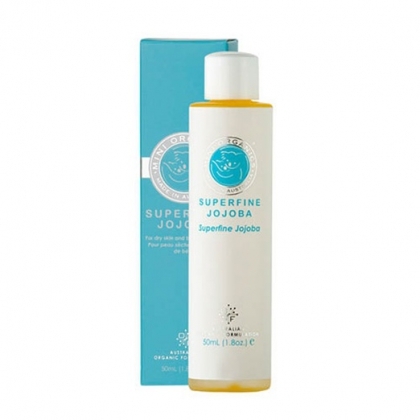 Spray a small amount directly onto baby’s skin at change time to cleanse and help soothe any areas of redness. Spray directly onto a face cloth or tissue to refresh baby’s face and hands, or to make a soothing compress for irritated skin. A spritz or two in the air has been known to help calm cranky babies and offers a wonderfully soothing stress relief to adults! Our Calming & Hydrating Mist can also be used to offer relief to sunburned skin. Chamomile Roman (Chamaemelum anthemis nobile) Hydrosol**, Glyceryl Caprylate, Potassium Sorbate.